The good old VE Monks have made actual earbuds great again,so the resurgent onslaught continues with a new earbud arrival at Massdrop, it is the new condition Moondrop VX Classic Earbuds going for $50 with free US shipping or around $5 international shipping [I can’t test all countries though]. These dynamic driver earbuds come with four pairs of eartips and nothing more. There’s no mention of warranty in the listing. They will ship from Massdrop in early May 2019. They are so new at MD they have just one comment under “Discussions”. There are two headphone-related daily deals for Sunday February 17 in 2019. First up, B&H Photo is offering a new condition 2-pack of Sennheiser PMX-684i neckband exercise earbuds for $20 with free US shipping. That’s $10 per pair. They come with a mic/remote. Yes, they terminate in a plasticky earbud type thing, they do not go inside the ear canal. They have a 3-button remote/mic as well. Next up we go to the land of Woot where they are offering for Sony in “Used – Like New” condition the Sony WF1000X truly wireless for $60 in your choice of black or gold color-scheme. They come with a 90-day Woot warranty..
Earbuds with a mic/remote and you only pay $2? And it’s a name-brand manufacturer? Yes to all that! The new condition Philips SHE2105WT/28 earbuds (actual earbuds) in the white color scheme are on sale for $2.34 per pair by Amazon actual. You can buy as many as you want at this price. They average 3.6 out of 5 based on 19 customer reviews. They are an add-on item, so you need a $25+ order to buy them. I bought one of them the last time they were on sale. I am using them as bed time earphones for podcast and audiobook listening. Because they are flat earbuds, I’m using them as mini speakers. I don’t actually use them conventionally by covering the ear canal (poor ears need to do so breathing at night). Instead I put them near or around the upper or lower ear. It’s a bird, it’s a plane, it’s both! It’s none! The new condition Sony NW-WS625B is an exercise priority device. 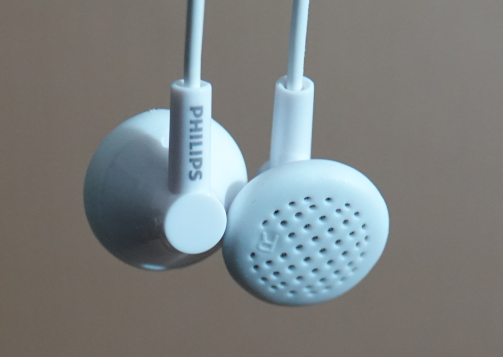 It is a bluetooth exercise hard-wire earphone and also an mp3 player. It has 16GB of built-in storage that can play FLAC, mp3, linear PCM, WMA and AAC (the non-DRM kinds). It also has bluetooth, can connect via NFC, and has an Ambient mode. It’s a small device, so everything eats power (eg Bluetooth playback only gives you four hours). It has a quick charge mode, minutes give you 60 minutes, handy if you are going for a run or a workout [you can charge it in the car before arriving at the gym]. And this critter is on sale for a limited time for $115 with free shipping at Focus Camera’s eBay store with a maximum of three per customer. Earbuds with a mic/remote and you only pay $2? And it’s a name-brand manufacturer? Yes to all that! The new condition Philips SHE2105WT/28 earbuds (actual earbuds) in the white color scheme are on sale for $2.18 per pair by Amazon actual with up to three pairs per customer at the sale price. They average 3.3 out of 5 based on 18 customer reviews. I bought one of them at the sale price, but have not opened it yet. They are an add-on item, so you need a $25+ order to buy them. This daily deal expired… Good until 11:59pm eastern tonight, you can get the new condition Sennheiser PMX 684i neckband earbuds for $25 with free shipping in the green/gray/black color scheme. Clearance specialist Tanga.com is offering for a limited time the new condition Apple Original Earpods, model MD827LL/A, for $9.49 with free shipping and free returns. They also have them in a 2-pack for $18 with free shipping, so if you need more than one, it’s cheaper to buy them in 2-packs. They offer 15 day returns, with over 3700 units sold. These are wired 3.5mm, not lightning earpods. Tech Rabbit is offering the Samsung Level Active Bluetooth Exercise Earphones for $20 with free shipping and a 1-year warranty in your choice of purple, black or white, in “New Hassle-Free” condition. This means they are new condition but they don’t ship in retail packaging. Happy New Year, with more music for your ears! 🙂 We start on the budget side of things, $3.31 is the current price for the new condition Philips SHE2105WT/28 Earbud. You can buy as many as you like! It is however an Add-ON item, so you must needs place a $25+ order, otherwise the shopping cart will not let you buy it. It averages 3.3 out of 5 based on 18 customer reviews. PS: this is an actual earbud, not an in-ear. It has a 1-button remote/mic even. The VE Monks may have gotten some “rotation”, but they are not the only (actual earbud) earbuds out there. The new condition Philips SHE2105 WT/28 in the White color scheme are currently down to $3.73 at Amazon by Amazon actual. You can buy as many as you want. This is not a lightning deal, so expiration date is unknown. There is a catch however, the price is low enough that they are currently an ADD-ON item, so you must place a $25+ order, otherwise the shopping cart won’t let you buy them. You can append them to an existing order, or you can get to $25 by getting seven or more of them. They average 3.3 out of 5 based on 18 customer reviews. BUT WAIT, there’s …less! If you are a Prime member, the price of these will automatically drop by 20% in the shopping cart. Based on the current price of $3.73, these will drop down to $3~ each instead. The new condition Apple Earpods, model MD827LLA, are on sale for $13 at Walmart by Walmart actual. Free store pickup at a nearby store, or free shipping with a $35+ order. Limit up to five per customer. 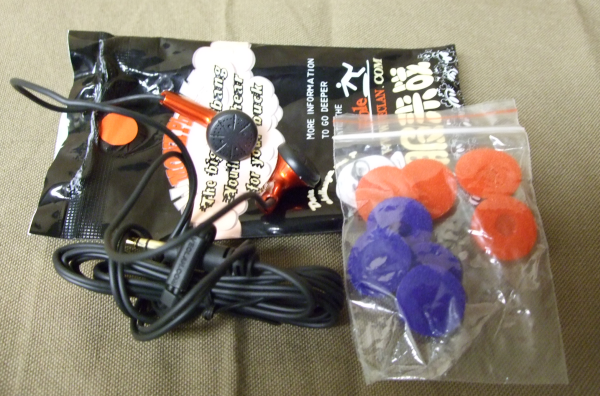 These are sold by Walmart proper, not marketplace sellers, so you are not going to get fakes ~ other things equal. Costco is offering for its members only the new condition Apple Airpods for $140 with free shipping. You have to login with a Costco account that has an active paying Costco membership. For a number of items, Costco allows non-members to purchase them with a 5% surcharge. However, some of the best deals (or limited quantity deals) have a “Members Only Item” tag, and this Airpods deal is indeed restricted to members only. Another one of the Tech Rabbit Cyber Monday doorbusters are the refurbished JBL Yurbuds Focus 400 offered for $3 with free shipping and warranty too. That’s right, you don’t have to buy anything else – you still get free shipping!